Our choir performed the Durufle Requiem last Saturday. I had been wanting to sing it again for many years – not least because this would be with a more proficient choir. In fact my two previous performances were either side of 30 years ago. This time it was the version with solo organ accompaniment. Durufle left us with a full orchestral version and a reduced one for organ,strings, trumpets and timpani – the latter being the one on my CD. The trumpets and timps are especially thrilling in the Sanctus. Had I not been singing it would have been fantastic to study our organist. He was amazing and I am totally in awe of someone who can play the notes, manage the stop changes and follow a conductor with the inevitable pulling about of tempo that happens. Sadly he had a typical English romantic instrument of approximately 100 years ago. Oh for some French reeds and stronger upperwork to give more definition to the ‘libera eas de ore leonis’ section. On reflection that’s a little harsh as everything else was very effective – the diapason tone, the quiet string stops, the clarinet and nazard. The organ accompaniment is idiomatic and works well. It’s the only work I know of where the score has exactly what the organist should play. Other works (or individual choruses) which are often performed with organ accompaniment (Zadok the priest, How lovely are thy dwellings, Faure’s Requiem, Messiah, the heavens are telling) require the organist to re-arrange a piano accompaniment as he or she plays – something that has largely been beyond me. At the risk of being thought a teenager I’ll quote the last line up to that final chord with 6 RH notes to be played by 5 fingers and then the start of the Sanctus with its rippling or bubbling LH sextuplets. 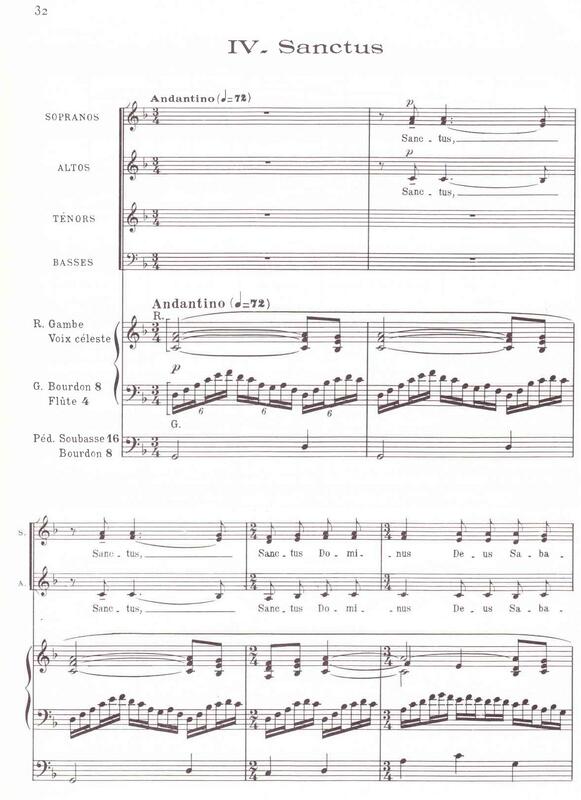 This entry was posted in Organ, Singing and tagged Durufle:Requiem:Organ;Choir. Bookmark the permalink.